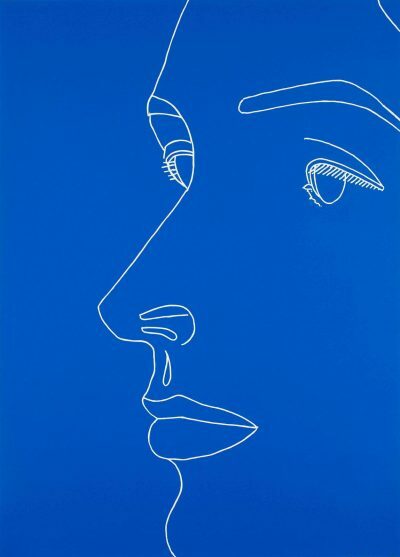 American artist Alex Katz studied at The Cooper Union, New York, and at Skowhegan School of Painting and Sculpture in Maine. Known primarily as a painter of people, Katz creates flat, brightly-coloured portrait groups. His subjects include his wife and lifelong muse, Ada, his son Vincent, and a distinguished circle of friends, including poets, writers and artists from the New York School. He became widely known internationally following a large-scale retrospective at the Whitney Museum of American Art in 1986 and a print retrospective at the Brooklyn Museum of Art in 1988. A solo exhibition of Katz’s work was held at IMMA in 2007.